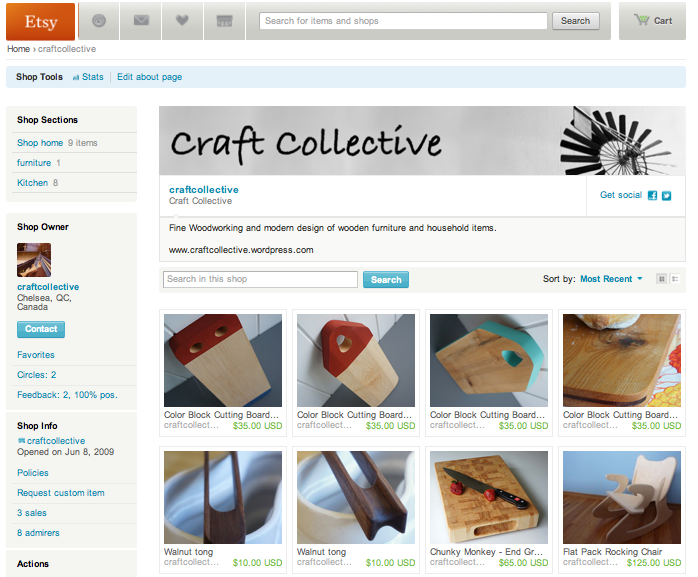 Well, after a long day of home renos, I opened up my email to find that I had made my first Etsy sale. 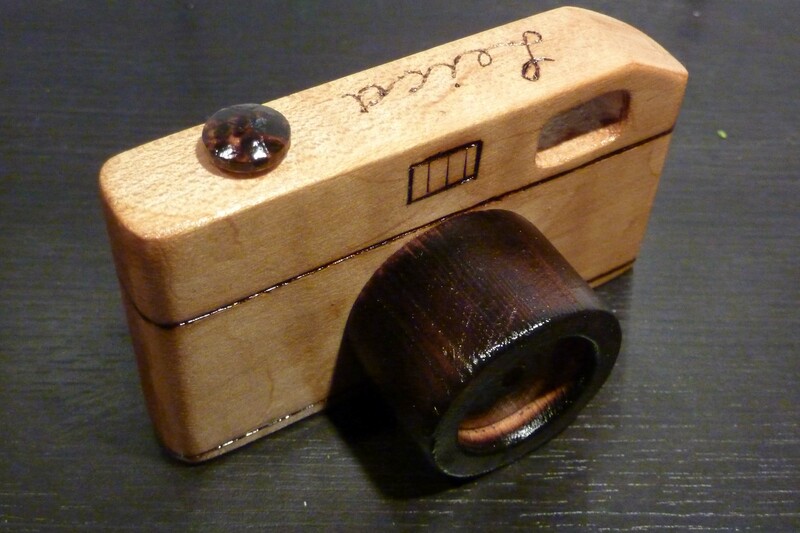 The wooden Leica toy camera that I made for 52 Create is heading to a buyer in New York! 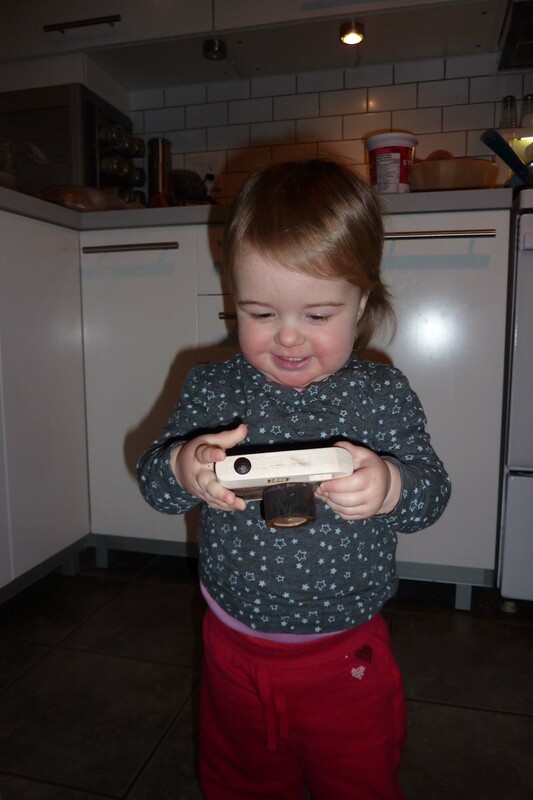 I even accomodated their request to add “M9” on the camera. 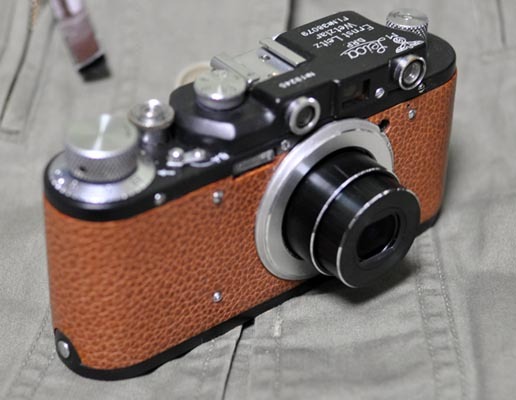 I was a bit torn as it’s supposed to be modelled after a film Leica, and the M9 actually has a slightly different shape, but the customer is always right! 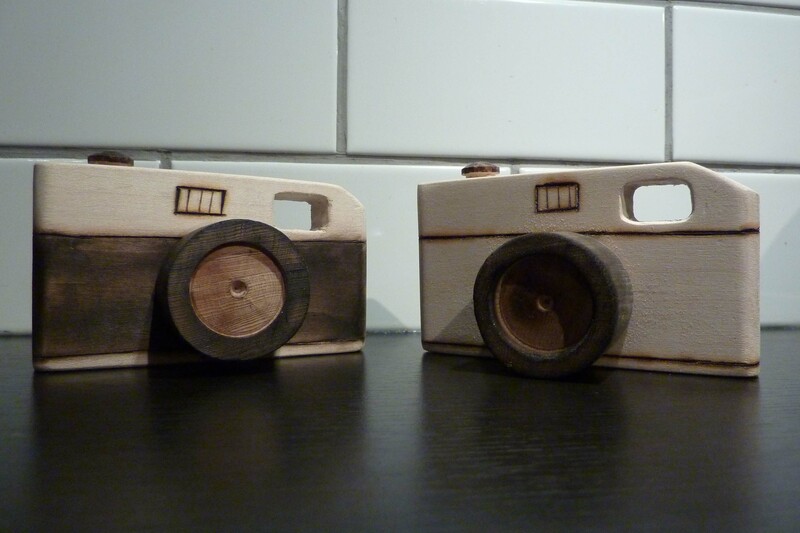 I’ve put two of the toy wooden cell phones up for sale as well as a Parisian Market picture (holga). I’ll be getting the helicopters up in the next week or so, still waiting to find some time to do the last coat of finish on them. Toys toys and more toys…. This week, a fleet of helicopters. Is it a fleet or a flock? 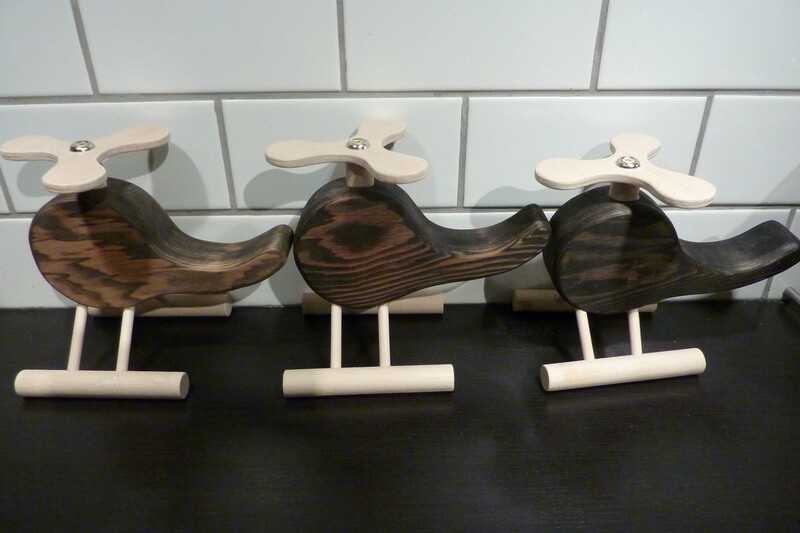 Perhaps a squadron, who knows…. 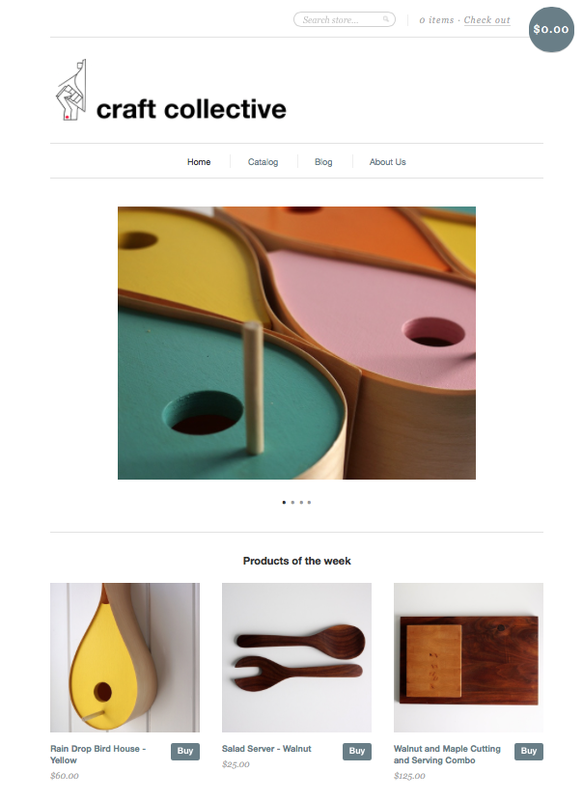 52 Create is my year long project of creating something myself each week for the entire year. The majority of the items are out of wood, however last week we branched out into film. Check out the projects so far. 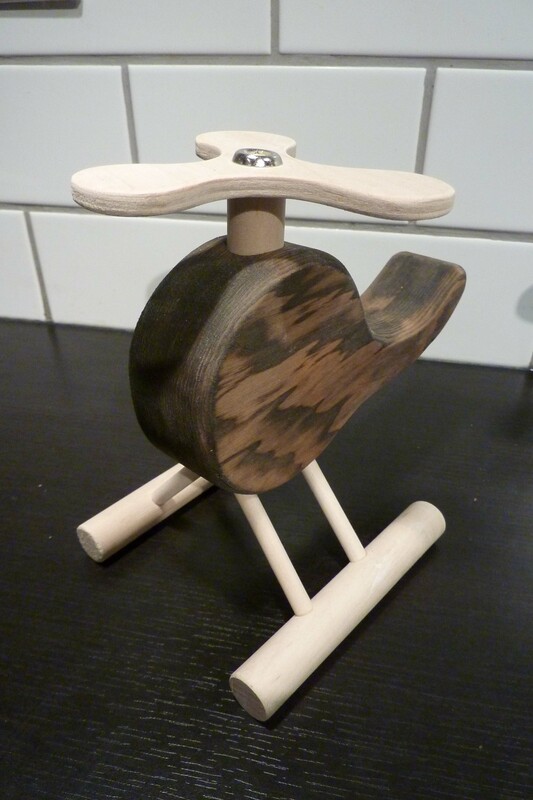 As I said above, this week I made 3 toy helicopters. Once you make one, you might as well make a few, and I’m hoping this one will be a big seller on my Etsy shop. 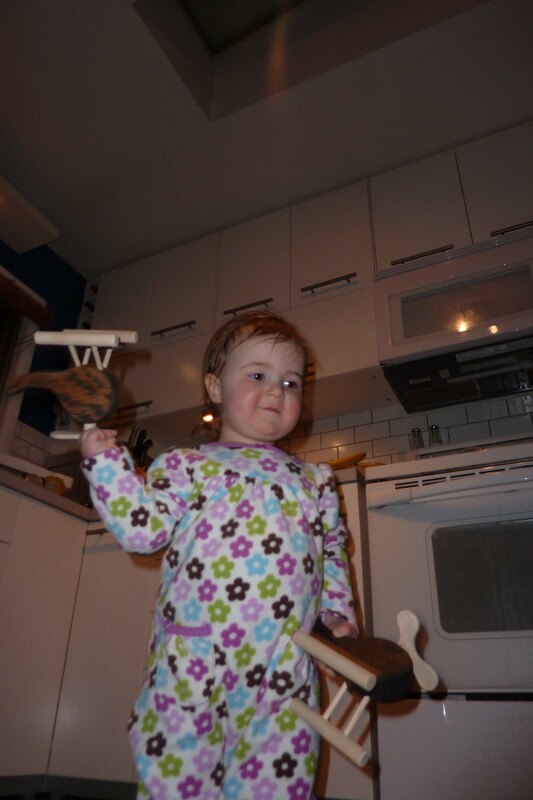 The helicopter is made of Douglas Fir (dark wood) and the rest is maple dowels except for the baltic birch plywood rotor. They haven’t been finished yet as the weather is too cold but they will be getting a coat of polyurethane to help keep them in pristine shape. Week two of 52 Create and I decided on a couple of toy cameras. 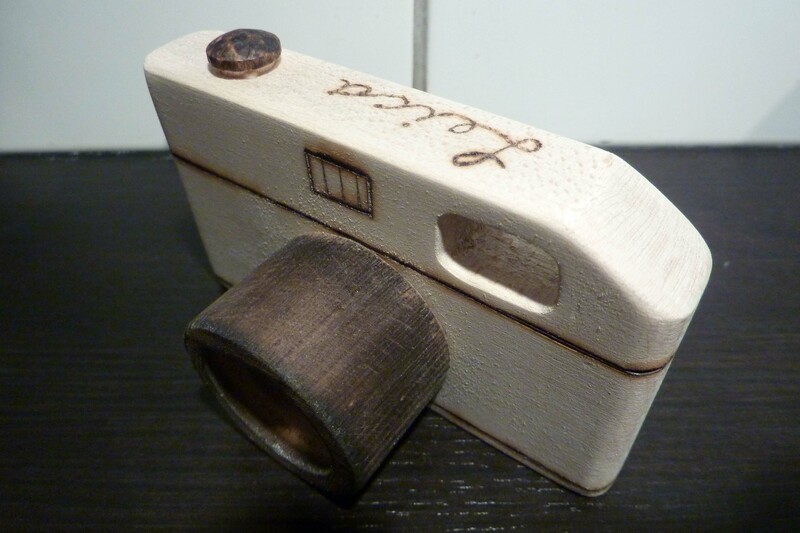 My daughter loves playing with our real camera, so why not make her a little wooden version? I went for a rangefinder style (whom am I kidding, it’s supposed to be a Leica) They are scaled down from a full sized camera as they’re meant for a 16 month old. Both cameras are made from maple (and in Canada, making them an M 4-2 I guess…) and the lenses are from a dowel I had lying around the garage (not sure what type of wood). The lines are done with a wood burning pen, the lens and dark part of the one camera are done using a propane torch. There are no moving parts and I plan to finish them with shellac to make them kid safe (it’s -15 here right now so no finishing in the unheated garage for a while). I was on the Guardian website earlier today when I found this great little video on Marcus Bleasedale. I’m new to photography and have many photographers to discover, however I was quite blown away with his work. I envy photographers who travel the world taking pictures, especially in war torn countries, the danger must be exciting and the pictures are surely rewarding. What really struck me was that he seems to be taking pictures in order to try to help these people. Although he is a photographer, I would say he’s really just using his camera in order to bring some social justice to the people he photographs. I highly recommend going to his website to check out his work. I’ve always wanted a digital rangefinder, something like my Bessa R, but digital would be a great fit. I’ve been very tempted lately by an M4/3 camera, especially with their compatibility with just about any lens ever created, but it’s hard to justify the expense right now. I have a feeling that this will be a project I’ll try to replicate this fall, but what camera to use? I feel that I’d want to use one with as few buttons as possible, this would reduce the number of holes I’d need to cut. Ideally it would have the same lens barrel diameter as an old M39 format rangefinder, if not it would be difficult to cut the lens hole. Some people may say why would you do this? It’s no more functional than the original camera, but what great style it has!